Voters in Washington, DC, today overwhelmingly approved Initiative 71, which will make it legal for adults to possess and cultivate small amounts of marijuana in our nation’s capital. "You just made history," Dr. Malik Burnett, policy manager for the Drug Policy Alliance's DC-based Office of National Affairs, wrote in an email to supporters shortly after the polls closed. "Voters passed Initiative 71 in Washington, DC." Along with long-time DC marijuana reformer, hemp entrepreneur, and political gadfly Adam Eidinger, Dr. Burnett co-chaired, the DC Cannabis Campaign. The effort met with some initial reluctance in the DC drug reform community and managed to make the ballot in large part thanks to early financial support from the activist-minded David Bronner of Dr. Bronner's Magic Soaps. Then DPA came on board, bringing more financial and other resources with it. Because of District law, the initiative could not address legal marijuana commerce. That is the purview of the DC city council, which has already demonstrated its friendliness to marijuana law reform by passing decriminalization earlier this year. The council is already considering a bill to legalize, tax, and regulate marijuana commerce. "With marijuana legal in the federal government's backyard it's going to be increasingly difficult for national politicians to continue ignoring the growing majority of voters who want to end prohibition," said Tom Angell of Marijuana Majority. "I've been saying for a while that 2016 presidential candidates need to start courting the cannabis constituency, and now the road to the White House quite literally travels through legal marijuana territory." For the first time, race played a significant role in a legalization campaign, said DPA director of national affairs Bill Piper. "This was the first legalization campaign in which the racial disproportionality of marijuana enforcement played a major role," he noted. "Initiative 71 sets the stage for the DC council to create a new model for legalizing marijuana – one that places racial justice front and center." While the voters in DC have now spoken on marijuana legalization, Congress still has a chance to intervene, but that appears unlikely. Congress has 30 days to act or the measure becomes law, but that require a measure to override the will of District votes to be approved by both Houses and signed into law by the president. Congress could also attach a rider to the DC appropriations bill barring all funding to implement the measure, but it appears that the bill, which should be approved next month or early next year, will be handled through a budget deal with no riders. Legal marijuana is coming to the nation's capital. Florida's Amendment 2 medical marijuana initiative was defeated in today's election, even though it won a majority of votes. Because it is a constitutional amendment, the initiative needed 60% of the vote to be approved. According to the Florida Division of Elections, with 96% of precincts reporting Tuesday night, Amendment 2 had 57.52% of the vote. The Amendment 2 campaign was run by United for Care/People United for Medical Marijuana, which spent more than $6 million. Its most prominent figure was attorney John Morgan, a well-known Florida political figure, who contributed $3.7 million to the cause as of September 4, according to the Orlando Sentinel. But the opposition was also organized and rolling in cash. The Drug Free Florida campaign committee was generously and almost entirely funded by conservative Las Vegas casino magnate Sheldon Adelson, who contributed more than $5 million of the $5.6 million the campaign had raised by late October. Most of that $5 million was spent on fear-mongering TV ads that managed to erode what had been strong initial support for the measure. Up until about a month ago, Amendment 2 had consistently polled above—sometimes well above—60%. While bemoaning the defeat, drug reformers took some solace in Amendment 2's strong showing, with a majority voting in favor of it. "A tremendous majority of Floridians voted to legalize marijuana for medical purposes today – and that’s what really matters notwithstanding the fact that the initiative will not be implemented," said Ethan Nadelmann, executive director of the Drug Policy Alliance. "Today’s vote is a confirmation of medical marijuana's broad support across the political spectrum and sends a powerful message not just to Florida legislators but also throughout the South and even nationally." "While it's disappointing that patients in Florida won't be able to find legal relief with marijuana just yet, tonight's result does show that a clear majority of voters in the Sunshine State support a new direction," said Tom Angell, executive director of Marijuana Majority. "The campaign this year faced several key challenges, including that it took place during a midterm election in which turnout dynamics don't favor marijuana reform. Next time medical marijuana is on the ballot, organizers should put patients and medical professionals at the forefront of the campaign rather than relying on a well-meaning but much less sympathetic political donor as the chief spokesperson." Angell was referring to John Morgan, but in an email to supporters Tuesday night, Morgan gave no indication he was going away. "We may not have passed Amendment 2 tonight, but make no mistake, tonight was a victory in the fight for medical marijuana in Florida," he wrote. "Our next governor will take the oath of office having won less than a majority of Floridians' votes. The idea that marijuana is medicine and that those suffering and in pain should not be made criminals, received a larger share of the vote than the winner of the last six gubernatorial elections and every presidential campaign in Florida for decades." Now, he said, it is time to take the fight to the state legislature in Tallahassee. And if the legislature doesn't act, he's vowing to be back in 2016. "And the people will not be denied a second time," he vowed. "I have this final message to the patients in Florida - compassion may have been delayed, but it is coming." It's Election Day! Marijuana Policy Reform is on the Ballot in Three States, DC, and in Various Local Elections. Voters in Alaska, Oregon, and DC are voting on marijuana legalization, while voters in Florida are voting on medical marijuana. Click on the title link for details on the various state-level initiatives. Local marijuana-related ballot issues are on the ballot in five states. 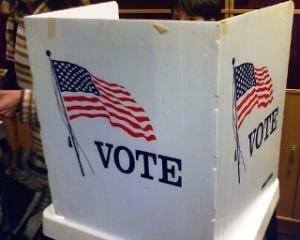 Stay tuned to the Chronicle; we'll be posting election results as they come in through the evening. Guam Voters Approve Medical Marijuana. In the first election results of the day, voters in Guam have approved a medical marijuana initiative. With all precincts counted, the Joaquin Conception II Compassionate Use Act of 2013 passed with 56% of the vote. The legislatively-sponsored referendum overcame both political inertia and legal challenges to make it to the ballot this year. 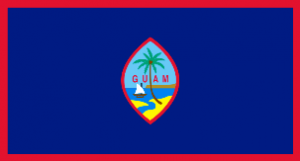 Guam now becomes the first US territory to approve medical marijuana. Iowa Board of Pharmacy to Hold Hearing on Medical Marijuana. The board, which has already said the state should be moving toward allowing medical marijuana, is considering whether to make new recommendations to legislators. A board committee will meet November 17 to hear testimony. Among those addressing the committee will be long-time Iowa medical marijuana activist Carl Olsen, whose petition to the board started the ball rolling. Click on the link for meeting details. It's Election Day! Drug Testing Doctors is on the Ballot in California. In California, an initiative designed to increase the caps on medical malpractice awards is catching the attention not only of powerful legal and medical interests, but also drug reformers. That's because, in what opponents call a cynical ploy, the malpractice initiative leads with a provision to impose drug testing on doctors. Proposition 46, whose controversial ballot title is "Drug and Alcohol Testing of Doctors, Medical Negligence Lawsuits. Initiative Statute," would, if passed, make California the first state in the nation to impose drug testing on doctors. Click on the title link to read our feature story on the initiative. It's Election Day! Defelonization of Drug Possession (and Other Offenses) is on the Ballot in California. Proposition 47, the smartly named Safe Neighborhoods and Schools Act, is sponsored by two prominent California law enforcement figures, former San Diego Police Chief William Lansdowne and current San Francisco District Attorney George Gascon, and the campaign is being led by Californians for Safe Neighborhoods and Schools. It has lined up an impressive array of supporters. The initiative would attempt to address the state's chronic over-incarceration problems by moving six low-level, nonviolent crimes from felony/wobblers to misdemeanors. A "wobbler" is an offense that can be charged as either a felony or misdemeanor. Among the included offenses is simple drug possession. About 10,000 people are arrested on drug possession felonies each year in the state. Click on the link to read our feature story about the initiative. Paraguay Moves to Crack Down on Drug Trafficking and Corruption. Members of the government's legislative, executive, and judicial branches met Monday and agreed on measures to thwart drug trafficking and to prevent people with links to the traffic from seeking public office. 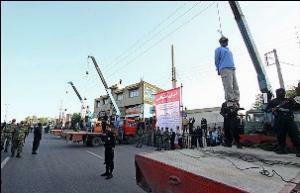 The move comes after the murder of a reporter covering the drug trade two weeks ago. In addition to barring political participation, the government agreed to move all drug trafficking trials to the capital, Asuncion. Meeting participants also discussed asset forfeiture measures, but didn't act on them. Paraguay is South America's largest marijuana producer. British Lib Dem Minister Resigns Over Drug Policy Differences With Tories. Differences over drug policy continue to roil Britain's governing coalition. Liberal Democrat MP Norman Baker has resigned as Home Office minister after coalition senior partners, the Conservatives, rejected plans to liberalize the country's drug laws. Baker said support for a "rational, evidence-based policy" was nonexistent at the Home Office and that working with Home Secretary Theresa May on the issue was like "walking through mud." The Lib Dems have been called for drug decrimilization; the Tories aren't interested. In the first election results of the day, voters in Guam have approved a medical marijuana initiative. With all precincts counted, the Joaquin Conception II Compassionate Use Act of 2013 passed with 56% of the vote. The legislatively-sponsored referendum overcame both political inertia and legal challenges to make it to the ballot this year. Guam now becomes the first US territory to approve medical marijuana. The new law is vague and leaves much in the hands of the Department of Health and Social Services. It directs the agency "to regulate the use of marijuana as treatment for medical conditions or diseases specified in the proposal or designated by the Department at a later time. It further directs the Department to develop rules within nine months, consistent with the proposal to regulate all aspects of the use of marijuana for medical purposes on Guam. The proposal further removes the criminal penalties relating to marijuana when used by qualified patients pursuant to the act." Mainland drug reformers welcomed the results from the far Pacific territory. "That’s great news, and a positive omen, for marijuana reform efforts across the country," said Ethan Nadelmann, executive director of the Drug Policy Alliance. "Guam is quite conservative politically and home to a significant U.S. military presence, so this resounding victory is a confirmation of medical marijuana's broad support across the political spectrum." "The marijuana majority is a truly global phenomenon," said Tom Angell of Marijuana Majority. "People all across the world are ready to move beyond failed prohibition laws, especially when seriously ill patients are criminalized just for following their doctors' recommendations. With these election results, US territories stretching from Guam -- where America's day begins near the International Date Line -- to Hawaii and Alaska have sensible laws that let patients use marijuana without fear of arrest. And this is just the beginning of a very big day. It's likely that we'll see other important marijuana reforms enacted today as election results come in from races across the US." It looks like Oregon will be the next state to legalize marijuana. The latest SurveyUSA poll, released last week, has the Measure 91 legalization initiative winning with 52% of the vote. Only 41% said they were voting against it. That is generally in line with other recent polls. Late in September, SurveyUSA had Measure 91 under 50%, but leading by four points, with 16% undecided. In mid-October, an Oregon Public Broadcasting poll had the measure winning with 52%, again with 41% opposed. Only one recent poll, an Oregonian poll last week, had Measure 91 trailing. In that survey, 44% were in favor and 46% opposed, with 9% undecided. But the results were well within the poll's +/-5% margin of error, and it was also weighted toward older voters. In this latest SurveyUSA poll, the measure was more strongly supported by men (56%) than women (49%) and more strongly supported by 18-to-34-year olds (71%) and 50-to-64-year-olds (61%) than voters 65 or over (36%). Voters in the 35-to-49 age group were split evenly, with 46% in support and 46% opposed. Nearly two-thirds of Democrats (65%) and a healthy majority of independents (57%) were in favor of Measure 91, while fewer than a third of Republicans (32%) supported it. Oregon is a mail-in ballot state. Most ballots have been cast already. The late polls should reflect what many voters have already decided. Stay tuned tomorrow night, though; it ain't over until it's over. Last Minute Contributions Boost Oregon's Measure 91. The Drug Policy Action Network, the lobbying and campaign arm of the Drug Policy Alliance, has contributed another $250,000 to the Measure 91 marijuana legalization initiative campaign as the clock ticks down toward election day. That means Drug Policy Action has now donated $1.74 million of the $3.9 million raised by the campaign. The campaign is also getting a boost from pot legalization supporter US Rep. Earl Blumenauer (D-OR), who has made an in-kind contribution of $40,020 to help pay for TV ads. 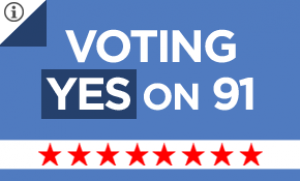 Oregon's Measure 91 Campaign Using Innovative "Did They Vote?" Website. The campaign is using DidTheyVote.org, a web site that allows voters in the state to log on and see if their Facebook friends have voted. If the friends haven't voted, people using the web site can "nudge" them to do so. "Check to see if your Facebook friends turned in their ballots! It takes 60 seconds. If it appears the elections office hasn’t received your friends’ ballots yet, you can give them a little nudge by sending them a reminder message," the web site explains. The web site is a project of the progressive non-profit group Our Oregon. Sacramento Federal Court Hearing on Marijuana Scheduling Ends. In a groundbreaking federal court hearing, US District Court Judge Kimberly Mueller in Sacramento has heard five days of evidence around whether marijuana is properly classified as a Schedule I drug under the Controlled Substances Act. Doctors and scientists made a strong case that marijuana does not belong in Schedule I. The judge issued no immediate ruling, but instead requested extensive briefs from the parties involved. She could rule on the issue two months from now or more. Click on the link to get some flavor of the discussion. Five NYC Councilmembers Accuse NYPD of Continuing to Target Minority Men for Pot Arrests. Five black or Latino city council members today sent a letter to Mayor Bill de Blasio and Police Commissioner Bill Bratton charging that the NYPD continues to single out young men of color for marijuana arrests. "This is not an abstract issue for us," the letter said. "We approach this issue not just as lawmakers but also as young men of color whose lives and behavior are directly affected by the NYPD’s practices. The NYPD continues to target people who look like us, and we know from our own experiences and those of our peers that these racially skewed arrests create distrust between young men of color and the police." The letter was signed by Councilmen Ritchie Torres (D-Bronx), Carlos Menchaca (D-Brooklyn), Antonio Reynoso (D-Brooklyn), Rafael Espinal (D-Brooklyn), and Donovan Richards (D-Queens). While arrests have declined from the 50,000 in 2011 to some 29,000 last year, minority men are still the primary target, the councilmen said. DC Council Holds Hearing on Moving Toward Legalization. With the marijuana possession and cultivation initiate Measure 71 heading for an apparent victory at the polls on Tuesday, the DC city council is moving to address how to tax and regulate legal marijuana in the District. The council's Committee on Business, Consumer and Regulatory Affairs and its Committee on Finance and Revenue held a joint hearing Thursday to begin to lay the groundwork. Click on the link for more details. New York US Representatives Ask Justice Department to Let State Import High-CBD Medical Marijuana for Sick Kids. In a letter to Attorney General Eric Holder Thursday, they called on the Justice Department to find a way to let the state import medical marijuana to be used by severely ill children. The governor this year moved to allow some access to medical marijuana, but the state program will not be in full effect for more than a year. That's too long to wait, the lawmakers said. "Every day makes a difference for children with these severe disorders. Given this urgent public health need, we urge you to allow New York the ability to import finite and strictly controlled amounts of cannabidiol,"they wrote. Every Cop Car in Mercer County, New Jersey, To Be Armed With Overdose Reversal Drug. Police departments in Mercer County (Trenton) are now armed with 600 naloxone (Narcan) opiate overdose reversal kits. Beginning tomorrow, every patrol vehicle in the county will have one, as will every detective vehicle and detention center. Police in the state have begun carrying the drug since Gov. Chris Christie (R) ordered it made available throughout the state following successful pilot programs in Monmouth and Ocean counties. 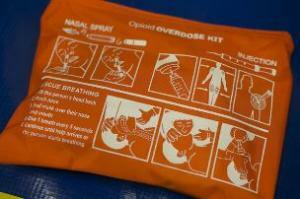 Officials said naloxone had saved 325 lives in the state so far. Britain's Cameron Stands Firm: No Drug Policy Review. Facing an insurrection over drug policy from the junior partners in his governing coalition, the Liberal Democrats, after a Home Office report found no obvious link between tough drug laws and drug use levels, Tory Prime Minister David Cameron is stubbornly refusing to consider any changes to Britain's drug policy. "I don’t think anyone can read that report and say it definitely justifies this approach or that approach, but the evidence is what we’re doing is working," Cameron said, citing falling levels of drug use. "I don’t believe in decriminalizing drugs that are illegal today. I’m a parent with three children; I don’t want to send out a message that somehow taking these drugs is OK or safe." In a sign of the depth of the discord between the coalition partners, Cameron's statement also included a zinger aimed at the Lib Dems: "The Lib Dem policy would see drug dealers getting off scot-free and send an incredibly dangerous message to young people about the risks of taking drugs." Denmark to Fund Medical Marijuana Research. The Danish government agreed Thursday to distribute at least $6 million for health research that will include research on medical marijuana. The funding is part of a broader agreement to fund socially relevant research. Strangely enough, the Danish newspaper article linked to above ends by noting that "no additional funds were set aside for the study of underground trolls." Cops Come Out in Support of Oregon Measure 91. Some 30 former police officers, sheriffs, prosecutors, and judges have come out in support of the Measure 91 legalization initiative. The campaign held a press conference with some of them yesterday and released a letter from them. "Treating marijuana as a crime has failed,"they said. "Arresting and citing thousands of people in Oregon and elsewhere for marijuana-related crimes is a distraction to law enforcement and a misuse of taxpayer resources. The time and money spent should go to make our communities safer. Police resources should be focused on violent criminals, thieves and criminal cartels." Former Seattle Police Chief Campaigns for Alaska's Measure 2. Former Seattle Police Chief Norm Stamper is hitting the hustings up north to garner support for the Measure 2 legalization initiative. The Law Enforcement Against Prohibition (LEAP) member has also been making the rounds in Anchorage, appearing on talk radio shows and other media in support of the measure. He is attempting to counter opposition to the measure from the likes of the Alaska Association of Police Chiefs. Vermont Sets Public Hearing on Marijuana Policy. The state government has set a November 12 date for a public hearing that will "provide Vermonters with the ability to contribute comments for a legislatively-mandated study on the issues involved with possible legalization of marijuana production, distribution and possession in the State of Vermont." The hearing comes ahead of a mandated January report to the legislature on issues related to marijuana legalization from Administration Secretary Jeb Spaulding. Click on the link for more event details. Louisiana Bans New Synthetic Cannabinoid. After more than 125 people got sick in Baton Rouge this month, state officials Wednesday announced an immediate ban on the synthetic cannabinoid MAB-CHMINACA. 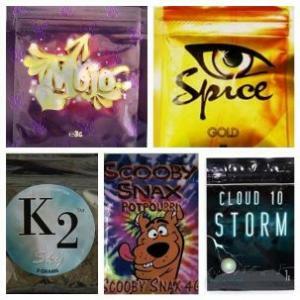 The state has twice before banned other synthetic cannabinoids, once in March and again in July. The compound has been sold in products with names like "Mojo," "Spice," and "Scooby Snax." Read the emergency rule here. US Afghan Watchdog Warns on Opium. The Special Inspector General for Afghanistan Reconstruction (SIGAR), John Sopko, has warned that the country's opium economy is threatening reconstruction efforts and that the US is not adequately addressing the problem. Anti-drug efforts have "largely fallen off the Afghan agenda," he said in a quarterly report released today. Sopko also criticized the State Department's Bureau of International Narcotics and Law Enforcement Affairs for "wasting" more than $7 billion on failed drug control policies. "There is nothing that they have said to me or my staff that would indicate that there's any idea of how to improve the situation," he said in an interview ahead of the release of the report. "Has anyone had their job performance -- in the State Department, Department of Defense or [US]AID -- affected by the fact that they failed over the past 13 years to do anything on counternarcotics? No." The report itself is worth a read. British Drug Policy Squabble. The junior and senior partners in Britain's governing coalition are going after each other in an increasingly nasty fight over drug policy occasioned by a new Home Office report on new synthetic drugs. The report found "there is a lack of clear correlation between tough drugs laws and levels of abuse." Liberal Democrat leader Nick Clegg hammered the Tories as being "frightened" of drug reform and having "a totally misplaced, outdated, backwards-looking view" on drug policy. Conservatives shot back that the Lib Dems were using the report for "naked political posturing" and accused the party of pursing "a dangerous and irresponsible" agenda of decriminalization. Get more details by clicking the links. INCB Meets in Vienna. The International Narcotics Control Board (INCB) began its 111th session today in Vienna. At the opening, board President Dr. Lochan Naidoo stressed his concerns about insufficient access to medicines containing narcotic or psychotropic drugs and noted the obligation of treaty parties to ensure access to such medicines to ensure treatment and prevent pain and suffering. Russian Government Submits Bill to Ban Synthetic Cannabinoids. President Vladimir Putin today submitted to the State Duma a bill to ban the sale and use of synthetic cannabinoid products. The bill names the cannabinoids as dangerous substances, bans their use, and gives the Federal Drug Control Agency authority to create a registry of such banned substances. The agency reports that more than a thousand users of the drugs have been hospitalized in the last year and 40 have died. Austrian Neos Party Supports Marijuana Legalization. A neoliberal political party that has just won its first seats in parliament has come out in support of legalization. The Neos (or New Austria) Party embraced the position at its party conference this past weekend. "We support self- responsibility and liberty. Legalization makes sense", party leader Mat Strolz said Tuesday. The Neos are the first part to embrace legalization in the wake of a parliamentary citizens' initiative that has so far gathered more than 27,000 signatures, making it the third most popular in Austrian history. It's not just new fringe parties that are considering the issue. The leaders of the governing coalition, the Social Democrats, will vote on legalization at their party convention next month. Last Thursday, a state appeals court held that medical marijuana users can be charged with DUI even if they're not actually impaired. Arizona has a zero-tolerance drugged driving law, and the state Court of Appeals ruled last week that the state's medical marijuana law does not provide immunity from prosecution, even if they are not impaired and only test positive for the presence of marijuana metabolites. The case is Darrah v. City of Mesa. Last Wednesday, four San Diego dispensaries were shut down by court order. San Diego authorities won court orders earlier in the week to close four dispensaries they said were operating illegally in the city. All four had closed their doors by Wednesday. The city has just adopted a permitting process for dispensaries and the first permit was handed out recently, but a number of dispensaries are operating in the city without permits. The city has shut down more than 200 unpermitted dispensaries since 2009, the city attorney's office said. Last Thursday,the DEA raided two Los Angeles dispensaries. DEA agents raided two Los Angeles dispensaries that staffers claim were fully compliant with state laws. Raiders hit two locations of The Farmacy, one in West Hollywood and one in Westwood, seizing cash, computers, and medical marijuana. No arrests were made. The Farmacy's Venice Beach location wasn't hit, but staffers said they thought that was because it had recently moved and the DEA couldn't find it. On Tuesday, Humboldt County supervisors approved a more restrictive cultivation ordinance. Saying they were trying to reduce neighborhood nuisances caused by excessive cultivation, supervisors voted unanimously to limit outdoor grows to 100 square feet on plots under five acres and 200 square feet on plots larger than that. Also on Tuesday, Sonoma County supervisors directed planning officials to review the county's cultivation ordinance. Currently, people can grow up to 30 plants or up to 100 square feet. Supervisor Shirley Zane tried two years to tighten the rules, but had to back down in the face of loud opposition. Now, she wants to try again. 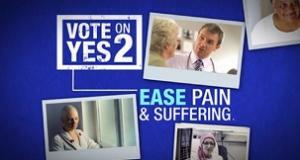 On Monday, another poll suggested that Measure 2 is in danger. A Gravis Marketing poll has support for the Measure 2 medical marijuana initiative at 50%, with 42% opposed and 8% undecided. Because it is a constitutional amendment, the initiative needs 60% to win. Gravis had the initiative with 62% in August and 55% early this month. On the other hand, the United for Care campaign sent an email to supporters last night claiming its internal polling had the initiative at 61%. Click on the poll link for methodological details. Also on Monday, news came that Republican money man Sheldon Adelson had put up another $1 million to defeat Measure 2. Las Vegas casino magnate and Republican sugar daddy Sheldon Adelson has thrown another million dollars into the battle to defeat the Measure 2 medical marijuana initiative. Opponents of the initiative have raised $5.8 million to defeat it; Adelson is responsible for $5 million of that. Overall, opponents have spent $5.5 million, pretty much matching supporters, who have so far spent $6.5 million. 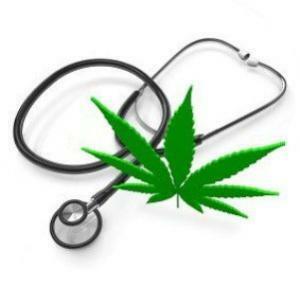 Last Friday, the state court of appeals held that medical marijuana users are entitled to unemployment compensation. State-approved medical marijuana patients are eligible for unemployment compensation if the only reason they were fired is that they tested positive for the drug, the state Court of Appeals ruled Friday. The decision was based on the courts' reading of the state's medical marijuana law, which prohibits penalties for those who legally use medical marijuana. The series of consolidated cases in which the court ruled begins with Braska v. Challenge Manufacturing Company. On Monday, a state senator urged DAs to not prosecute medical marijuana cases. Sen. Daylin Leach (D-Montgomery), sponsor of a medical marijuana bill stalled in the House after passing the Senate, called on prosecutors to not go after patients. Leach made the call in a letter to the Pennsylvania District Attorneys Association. "Given the likelihood that using lifesaving medical cannabis will not be a legal issue in Pennsylvania for much longer, I ask that you consider using your prosecutorial discretion," he wrote. "I ask that you perform an act of compassion." Last Thursday,Seattle warned dispensaries they will need state licenses. The city of Seattle has sent letters to 330 dispensaries operating there that they will need to be licensed by the state. The only problem is there is no such license for medical marijuana businesses. The city council had placed the requirement on hold until the state legislature decides whether and how to license dispensaries, but the letter warns that as of January 1, 2015 (or January 1, 2016 if the legislature doesn't act before then), dispensaries must have state licenses or close their doors. Click on the title link to see the letter. Latest Poll Has Oregon Measure 91 in Dead Heat. The latest poll from the Oregonian has the Measure 91 legalization initiative trailing in a tight race, but within the poll's margin of error. The poll of likely voters had 44% supporting the measure, with 46% opposed and 9% undecided or refusing to answer. The poll's margin of error is +/- 5%. An earlier survey by Oregon Public Broadcasting had the measure leading with 52%. One possible explanation for the difference in the polls is the age breakdown among the respondents. The OPB poll had a higher number of younger voters, who tend to support the measure, but who also tend to be less likely to vote than older voters. Drug Policy Alliance Voters' Guide Grades US Representatives. The Drug Policy Action Network, the lobbying and campaign arm of the Drug Policy Alliance (DPA), has released its 2014 Drug Policy Reform Congressional Voter Guide, which grades members of Congress on how they voted on seven key drug policy issues this year and last. The guide names 10 representatives as "champions of reform." They are Reps. Earl Blumenauer (D-OR), Steven Cohen (D-TN), Sam Farr (D-CA), Barbara Lee (D-TX), Thomas Massie (R-KY), Eleanor Holmes Norton (D-DC), Beto O'Rourke (D-TX), Jared Polis (D-CO), Dana Rohrabacher (R-CA), and Bobby Scott (D-VA). DPA says the guide is not just to educate voters, "but also to send a firm message to elected officials that they will be held accountable for supporting draconian policies that exacerbate the worst harms of the drug war." It names 141 representatives who failed to get a passing grade. ACLU Petitions to End Program Giving Surplus Military Equipment to Police Agencies. The American Civil Liberties Union (ACLU) has begun a petition drive designed to "stop arming local and state law enforcement with military equipment" and "impose a moratorium on the 1033 program to temporarily halt equipment transfers and create transparency and safeguards within this program." 1033 is the program under which surplus US military equipment, such as Humvees, armored personnel carriers, and the like are given free of charge to local and state police. The program has come under increased fire in the wake of heavily militarized police deployments in Ferguson, Missouri, after the police shooting of Michael Brown. Go to the link to sign the petition, then spread the word on social media platforms. Mexico Announces Arrest of Four Drug Gang Members in Case of Missing Student Teachers. Attorney General Jesus Murillo Karam Tuesday announced the arrest of four Guerreros Unidos cartel members who allegedly confessed to participating in the disappearance of 43 student teachers a month ago after they were detained by police. Murillo said that two of those arrested had admitted receiving the students and were about to reveal their location. The case, which unveiled close ties between drug gangs and local authorities, has roiled Mexican politics ever since the students went missing. 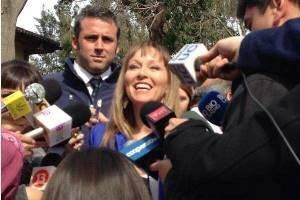 Medical Marijuana Planted Today in Chile. After authorities in the La Florida district of Santiago, the Chilean capital, gave their permission, medical marijuana supporters today planted marijuana plants that will be harvested in April and turned into a cannabis oil to be used to treat pain in cancer patients. The project is being run by the Daya Foundation, and will also include a clinical study of marijuana's effectiveness as a pain reliever.